Don Miller made this image of kids walking to Cold Spring School on Sycamore Canyon Road. 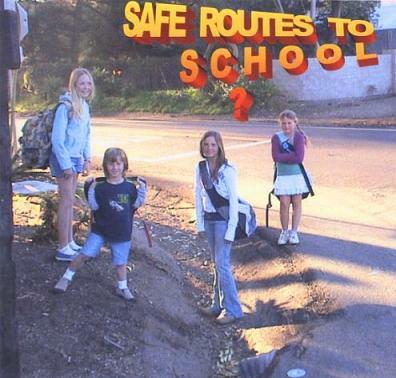 SAFE ROUTES MOVING FORWARD: After nearly a year of work, Montecito supporters of Safe Routes to School, a nationwide citizen group trying to establish protected walkways to schools, are beginning to see some steps toward progress. Next week, the county’s Public Works Department will host a series of community meetings in Montecito to get community comment on a draft study of Montecito’s pedestrian path problems. Before the study gets finalized, the department wants input, and the workshops will provide that opportunity. The first meeting will be held at Cold Spring School, 2243 Sycamore Canyon Road on Tuesday, October 16, 6-9 p.m., and a second similar workshop will be held a Montecito Union School, 385 San Ysidro Road, on Thursday, October 18, 6-9 p.m. Formal presentations will be made at both meetings at 6:30 and 7:30 p.m. and issues particular to each school will be discussed. SAN YSIDRO TRAIL MIX The relocation and re-alignment of the historic public footpath through San Ysidro Ranch will be reviewed by the Montecito Planning Commission at their October 17 meeting. The trail through San Ysidro Ranch. The county’s Parks Department, who owns the easement, will be asking for a quitclaim of the existing trail and the granting of a new easement. This action will make the trail continuous from San Ysidro Trail through the Ranch to San Ysidro Road. The MPC review is a final step in retaining the trail for public benefit. It has been shepherded through the process since 2005 by Montecito Trails Foundation’s president John Venable. 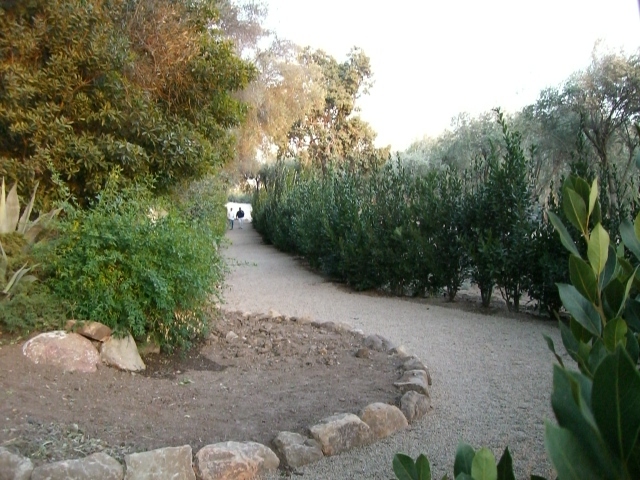 The original trail had to be relocated when a new entry was created at San Ysidro Ranch. GIVE ME A DRINK! Look for the Montecito Water District to continue their series of public workshops on water supply, demand, conservation, and pricing. MWD board members have already had three of these work sessions, and the next one is set for Tuesday, October 23, 8:30 a.m.-1 p.m., with the final meeting in the series scheduled for November 19. IT’S THE TRUTH! : You may have heard of paintings that speak to you, but never has that been more true than at the current dynamic exhibit of portraits by Robert Shetterly called Americans Who Tell the Truth. On display at the Arts Alive! gallery, the exhibit features 50 “truth tellers.” The paintings are impressive in their masterful art technique and with their not-so-subtle but provocative message. “The opposite of courage is not cowardice, it is conformity” is etched into Jim Hightower’s portrait and Eleanor Roosevelt reminds us, “No one can make you feel insecure without your consent.” Visitors should set aside several hours to get the full benefit of this exhibit – and take along a child – as this exhibit is that important and moving! 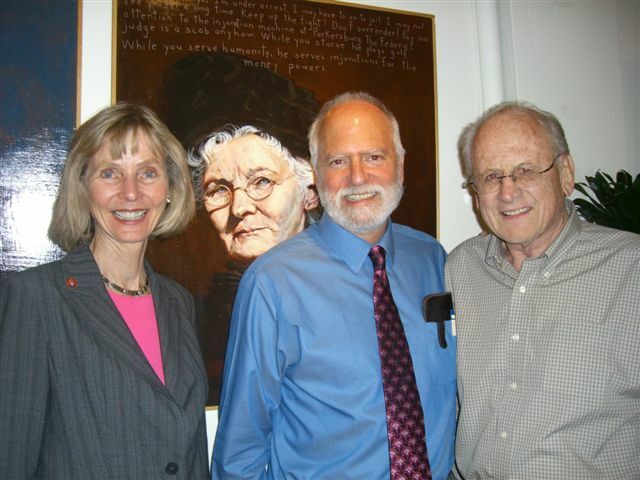 From left, Rep. Lois Capps, artist Robert Shetterly, and Spencer Boise. The paintings are on display at Arts Alive! community gallery, 1 North Calle Cesar Chavez, Suite 100, open from 11 a.m. until 6 p.m., Monday through Friday. No matter what your politics or your art preference, you will find this exhibit stirring – and that’s a Montage promise! MA’S NEW ADDITION: The Montecito Association has welcomed Monica Brock Peterson to their Board of Directors to fill out the remaining term of Deanna Wassom, who resigned several months ago for personal and business reasons. 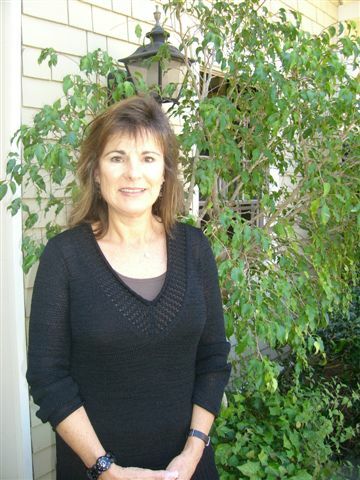 Peterson has lived in Montecito for about five years and has served on the Association’s Road and Traffic Committee. She is an attorney, licensed to practice in New Mexico, and works here as a professional mediator. Saturday, October 13: Auto racing great Andy Granatelli honored as Automotive Personality of the Year Award, Murphy Auto Museum, 2230 Statham Blvd., Oxnard, at 1:30 p.m. Call 487-4333. Saturday, October 13: Planned Parenthood Action Fund greets James Carville, Montecito Country Club, $195 per person; 5:30 p.m. See actionfundppsbvslo.org. Thursday, October 18: Saks Fifth Avenue Key to Cure Shopping Weekend Kickoff, 6 p.m. A percentage of sales will benefit Breast Cancer Resource Center. Thursday, October 18: Westmont College’s Georges Rouault: Miserere et Guerre exhibit closes in the Reynolds Gallery, 4 p.m.